These friendly dogs are relatively rare. Intelligent and obedient, these dogs love to learn, but may become bored without stimulation. Nicknamed “Mud Dog”, they enjoy playing in muddy, swampy areas. 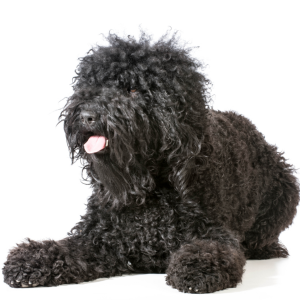 Very attached to its owners, and good with children, the Barbet makes an excellent companion and family pet. With proper socialization, they tend to get along well with other dogs and even cats. However, as a Sporting breed, they may be predisposed to chase small animals. 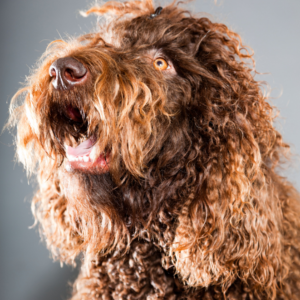 These friendly and fun-loving dogs are relatively rare, with only 300 or so registered with the American Kennel Club. Their name comes from the French ‘barbe’, and refers to their endearing beards. Originally bred as gundogs and used to flush out waterfowl in the French Wetlands, they have a long and rich history, with references to them going all the way back to the 16th century. 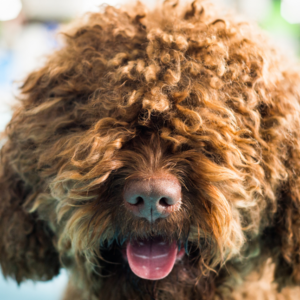 They’re also said to be the ancestor of other modern breeds like the poodle. 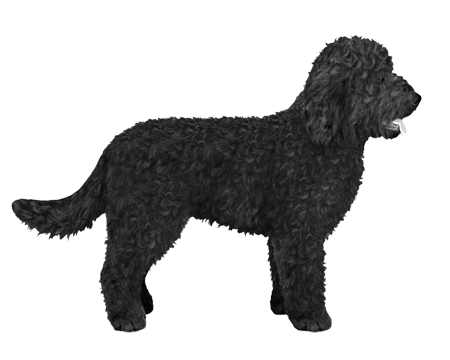 Given their rarity, they have been added to the American Kennel Club’s Foundation Stock. Considering the happiness they bring to our homes, let’s hope their numbers continue to grow.